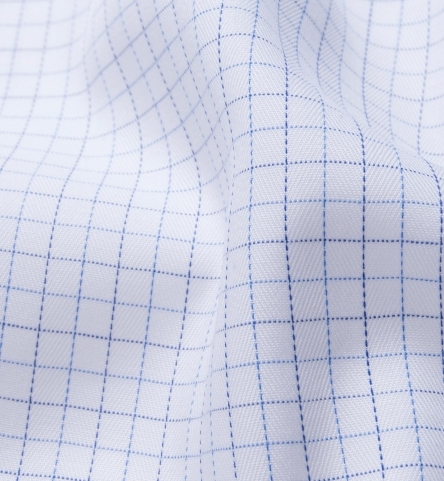 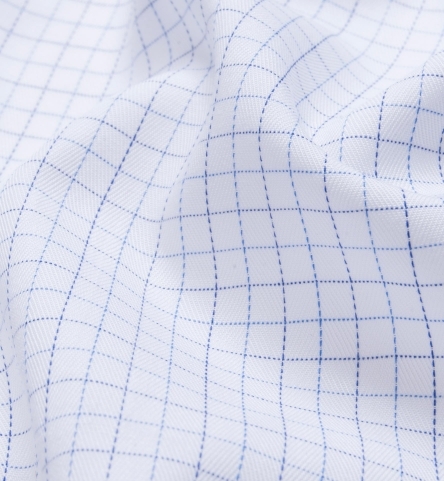 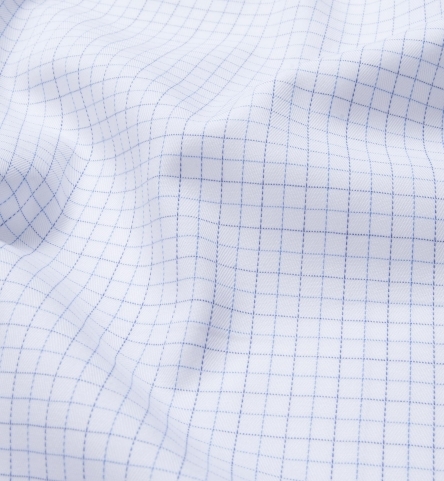 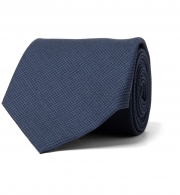 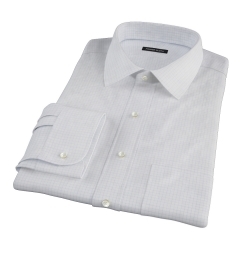 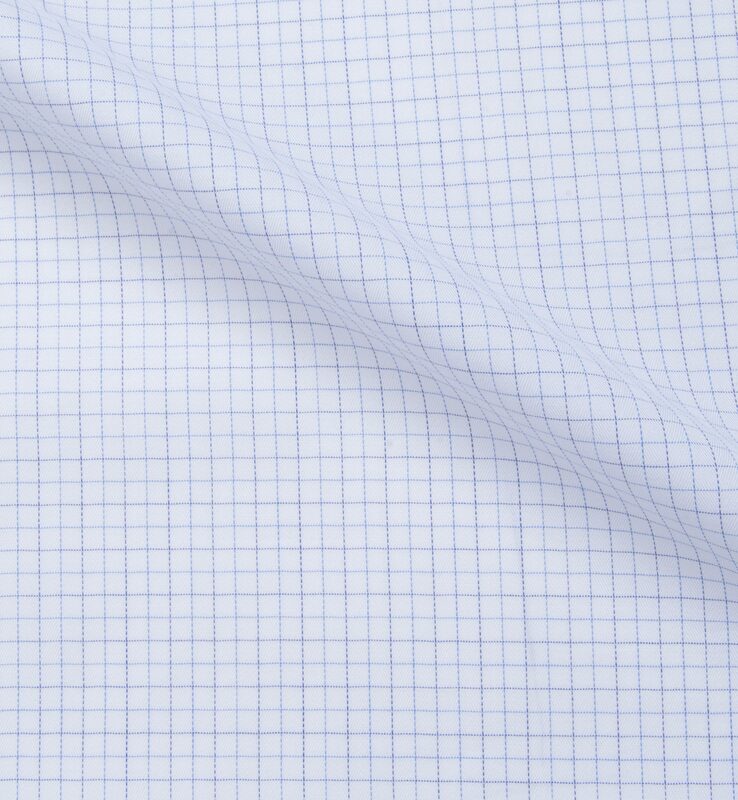 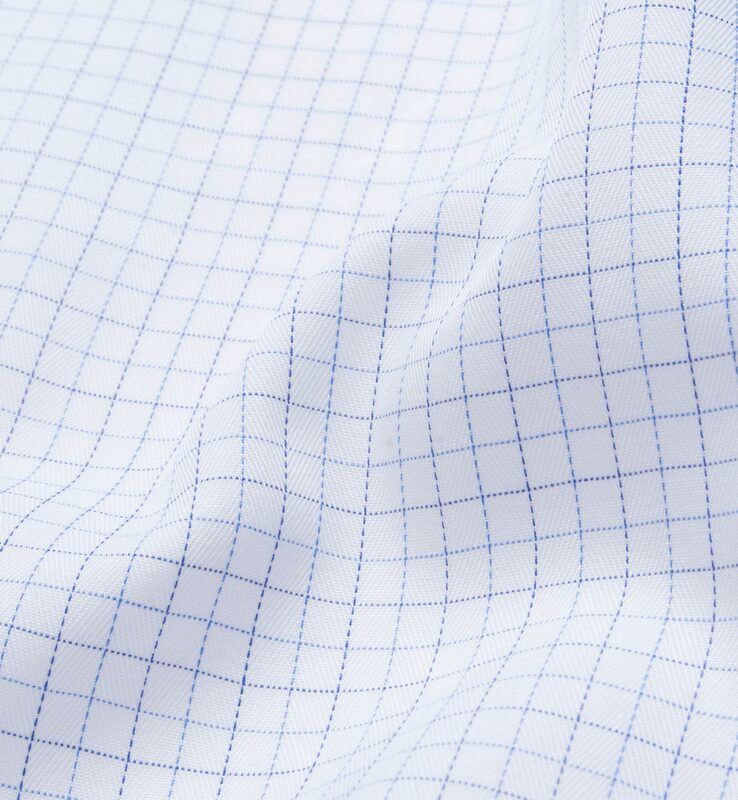 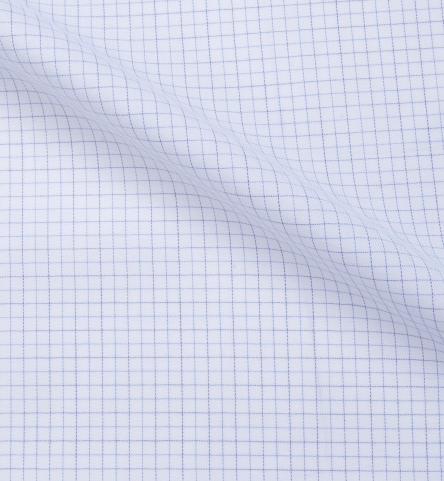 A subtle blue on blue tattersall check that's ideal for office wear. 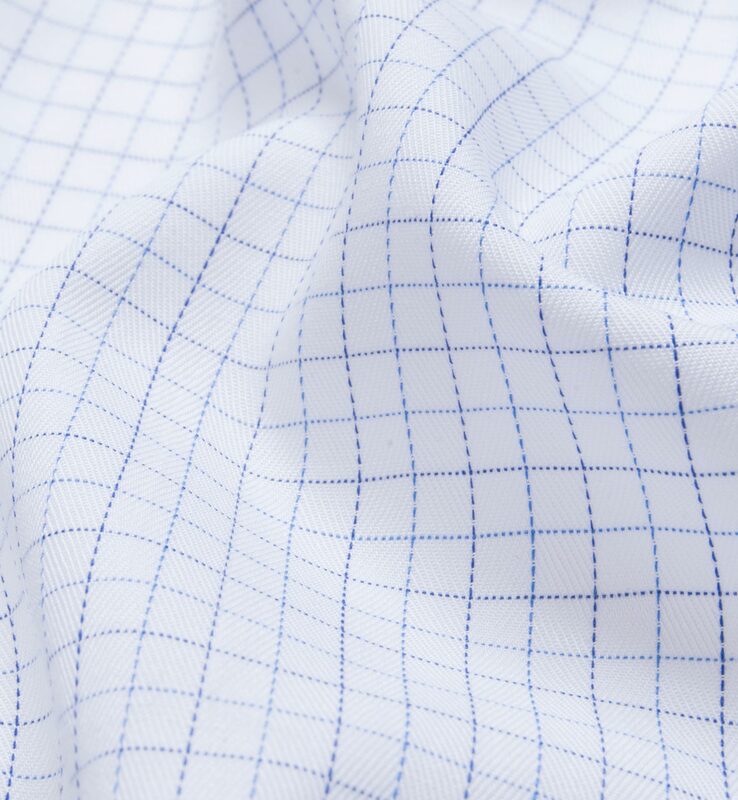 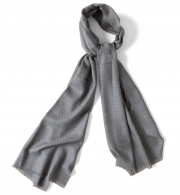 It has a pinch of texture and shine thanks to its twill weave, which also helps it drape incredibly well (which means it looks great under a sportcoat or suit jacket). 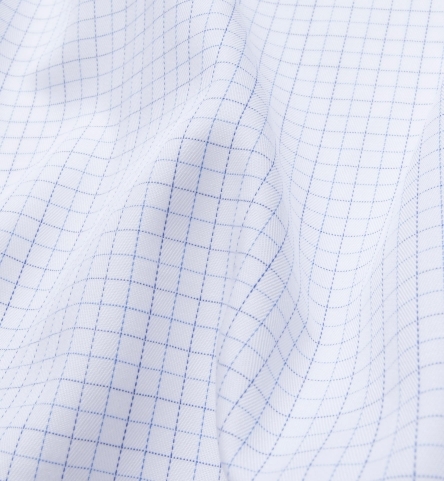 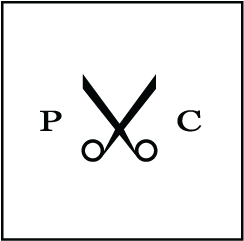 It's slightly thicker than a broadcloth or pinpoint, so it's relatively opaque compared to other mostly-white fabrics. 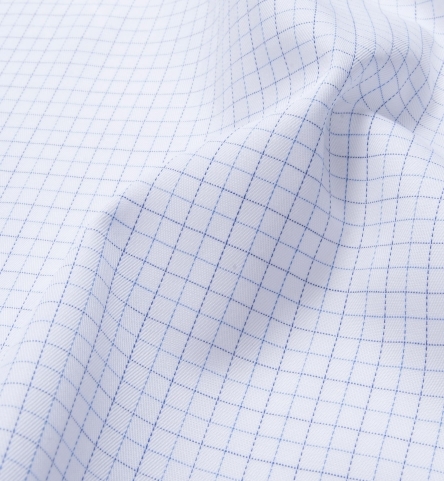 And it's woven with a 60/1 x 60/1 compact construction, meaning it's incredibly smooth. 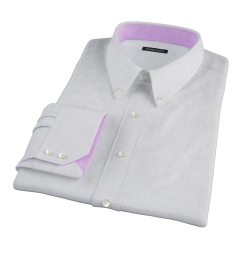 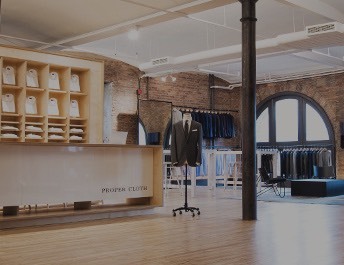 Can't go wrong with a President Spread collar (which looks great with tie or without) on this one.